Erica Willey is a freelance artist from Grand Rapids, Michigan. She is a recent graduate of Kendall College of Art and Design and also is a fan of Anime, Steampunk, and cosplays both. Check out the interview and then follow her links to enjoy her artwork. John N. Collins (JNC): It was a pleasure to meet you at Youmacon, Erica. It was impossible to miss you as the corridor was blocked with all the photographers and con attendees shooting your picture as I was trying to work my way through the Renaissance Center. Tell me about your cosplay. 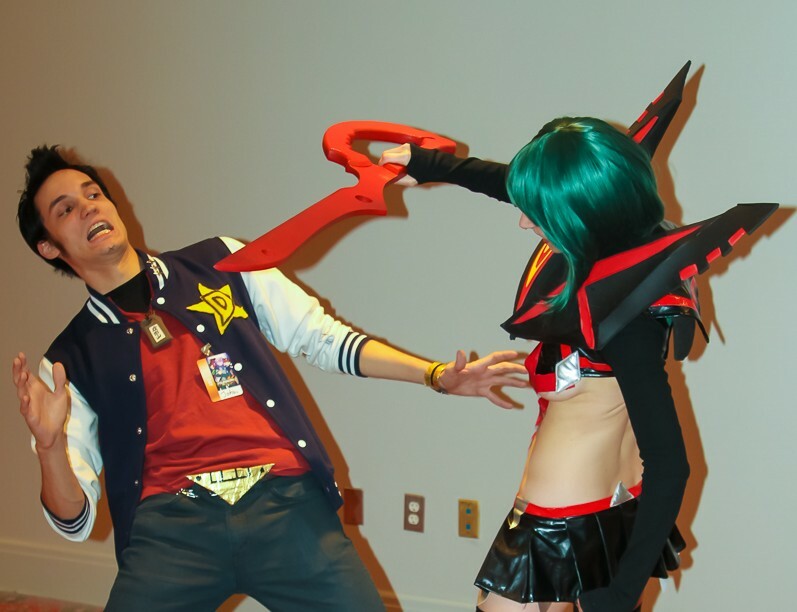 Erica Willey (EW): Well this year for Youmacon I decided to replicate Ryuko Matoi final from the anime Kill la Kill. I fell in love with her character right away. Unfortunately I don’t know how to sew yet, so I ordered the base of my costume, altered it, and created the chest pieces, out of craft foam. Altogether the costume took about a month to make. I have some modifications I want to make that will probably take a couple more weeks. (JNC): What inspired you to become a cosplayer and what other characters have you cosplayed? (EW): I’ve had a passion and love for the Japanese culture for as long as I can remember. When I first discovered cosplay in high school it immediately captured my attention. What I think inspired me most to become a cosplayer was the excitement of the cosplay world. People take it seriously and get excited. Cosplayers really appreciate the work that goes into making the costumes. It’s also fun and gives everyone a chance to be whoever they want for a day. I only started taking cosplay seriously, though, about 3-4 years ago, when I attended JAFAX for the very fist time. That year I actually created my own steampunk get up. And I rocked that cosplay outifit for my first year at Youmacon too. My next project will be Satsuki Kiryuin’s final form. (JNC): Not only are you a cosplayer, but you are also an artist. When were you first inspired to become an artist and who or what inspired you? (EW): Art has been in my life for as long as I can remember. My mother, throughout the years, has done freelance work. So it was her artistic skills that got passed onto me. Besides my mother, the first artist to inspire me was Salvador Dali. But I’d say what really had an impact of my style and approach towards my work is the fantasy and sci fi world that we all know and love. The artwork from games such as League of Legends, Legends of Cryptids, and Magic the Gathering has had a very huge impact on me. I admire the work of their artists very much and hope to one day be at that level and work for Riot Games, Applibot, or Blizzard. I just graduated from Kendall College of Art and Design this year, and have been successful in my frelancing career. Working for one of the big time companies is my ideal. (JNC): As an art student and a freelance artist you take on assignments where you are told what the professor or client wants from you and then create it based on their orders. How do you work up the creative flow when you are told what to create? (EW): For artists it is hard to follow strict instructions from a client. When there isn’t much wiggle room the creative flow is restricted. That is the life of an artist. I guess you could say we improvise. As I create a piece for a client, I am creating it for myself as well. Whether or not I like the concept of the piece I’m working on, I keep in mind the client’s needs and enjoy the creative process. I know that if I don’t enjoy the process, the final product won’t turn out as well. So the key is to love every minute of the process and let that inspire the final product. (JNC): Is it easier or harder to create without any input? (EW): It really just depends. Sometimes the creative flow comes to you while you’re walking on the streets and see an odd shape in the clouds, but a lot of times it doesn’t come to you at all, which makes producing any sort of artwork challenging. So having some sort of input does help at times, but too much input, confines the creative mind we artists are known for. (JNC): What media do you use and what is your favorite? (EW): The only media I work in currently is Digital. A majority of my time is spent in photoshop. Originally I strictly used traditional mediums such as oil paints and watercolor, but have fallen in love with the digital world. (JNC): As a recent graduate of Kendall and a frelancing artist, where do you want to go from here? (EW): As I had mentioned, my goal is work with Riot Games, Applibot, or Blizzard. To prepare myself for that future I am working with kickstarter companies and taking other freelancing opportunities. (JNC): Where can the reader go to see more of your artwork and how can they contact you for more information or to contract artwork from you? (EW): They can check out my art and contact me by visiting my website. I can also be found on Facebook. (JNC): Thanks again for taking the time to chat with me at Youmacon and for agreeing to do this interview! (EW): Thank you for giving me this great opportunity and taking the time to get to know my passions a little more. 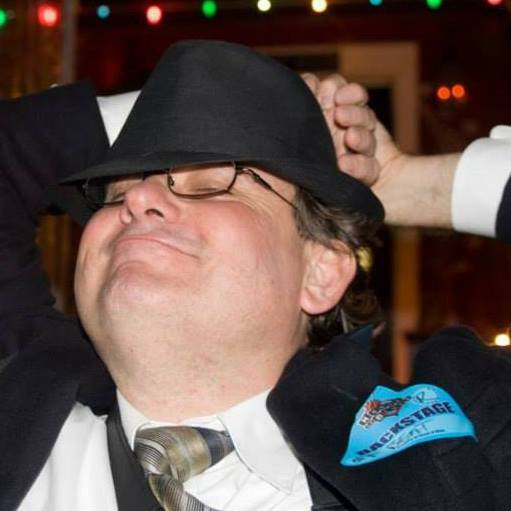 For more photos and fun, follow John N. Collins on Twitter, Instagram, Youtube, and Facebook and be sure to let him know your thoughts on his articles!